No matter if your childhood playground had a rusted metal slide that was scorching hot in summer or a sleek and safe structure of soft plastic climbing walls and swings, it’s likely that you created your own narrative of play. Maybe the jungle gym was a pirate ship, or the slide a mountain, but grownups watching only saw chaos. 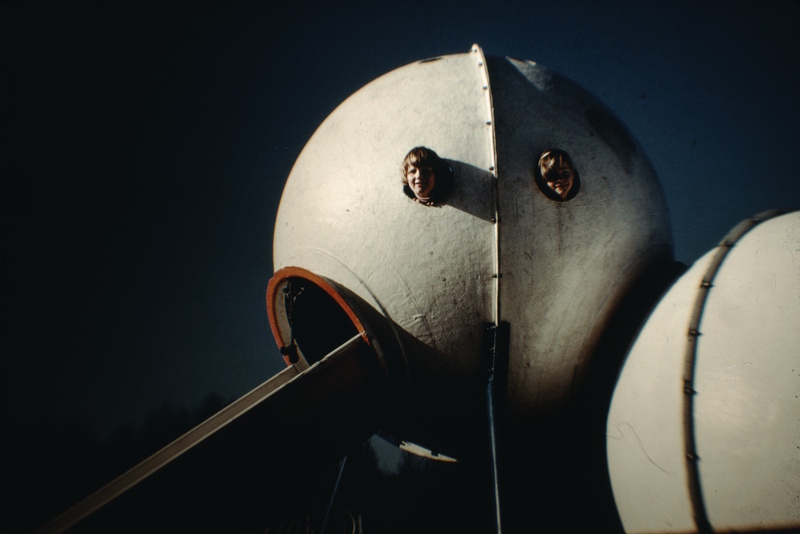 Following World War II, and up to stricter playground regulations in the 1980s, artists, architects, and designers imagined new playgrounds that fostered this fluid creativity. 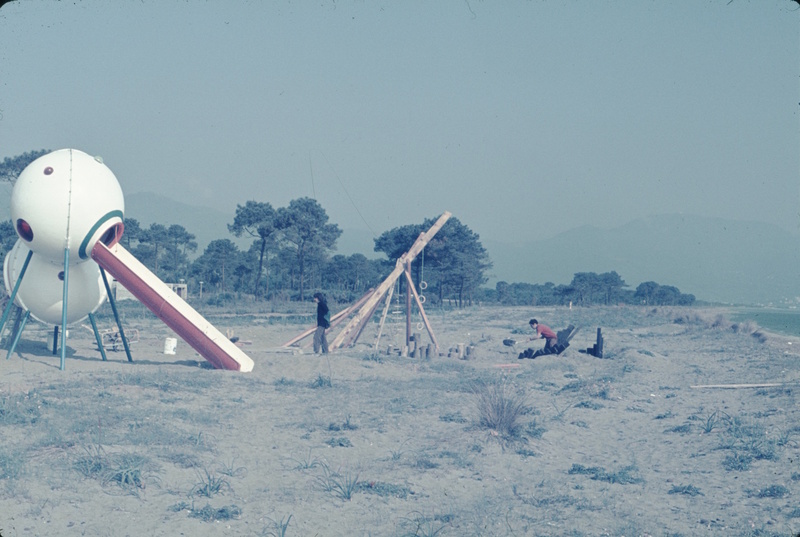 Rather than equipment with implied actions (like a slide), they built abstract, climbable sculptures, landscapes of peaks and tunnels, and sometimes just concoctions of debris in a vacant lot where children could build whatever environment they desired. These “adventure playgrounds” contrasted to the sort of holding-pen playgrounds of the 19th century that arose with the social reform movement. And in Europe, where many cities were pocked with postwar rubble, adventure playgrounds could be temporarily installed in these vacant lots, utilizing their raw materials. 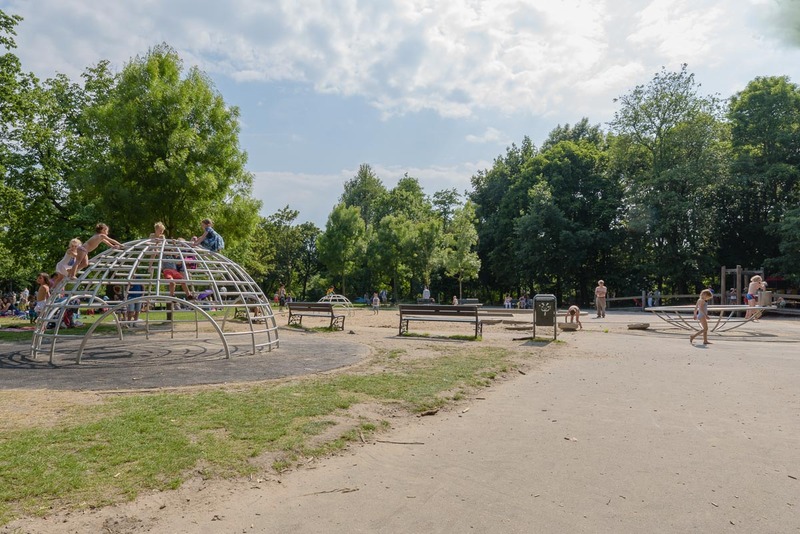 Landscape architect Marjory Allen in London, for instance, was an advocate for adventure playgrounds, including one at a bomb site at Clydesdale Road in 1952. Meanwhile in the United States, the sprawl of the suburbs, and decline of urban downtowns, required a new perspective on designing vibrant public space. First, at the beginning of the 20th century, social reformers took children off the street and onto the playground. Then, at the beginning of the 1930s, the idea arose that children should play with natural materials rather than playground equipment. 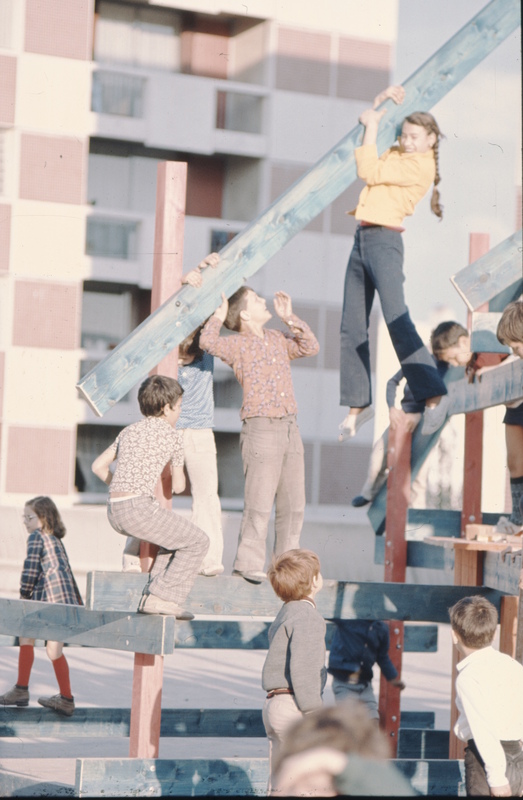 In the 1960s, the decade of autonomy and do-it-yourself, parents, children, and neighborhood groups began to take charge of playgrounds themselves. 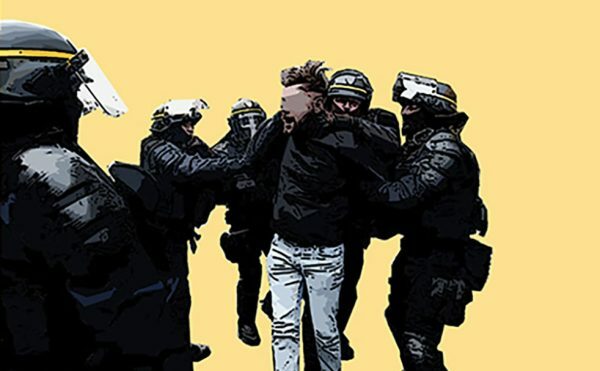 Finally, in the 1980s, with the end of social and political utopias, a crisis in playground design began. 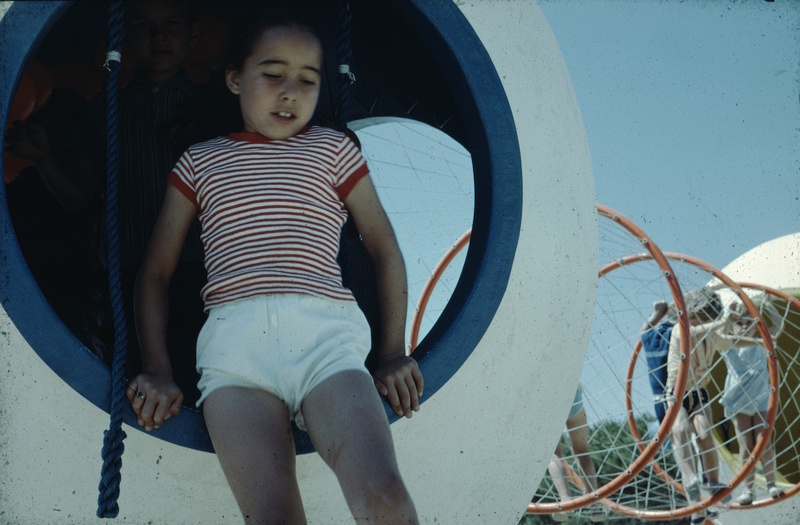 Photographer Brenda Biondo, in discussing her 2014 book Once Upon a Playground: A Celebration of Classic American Playgrounds, 1920-1975, echoed the assertion that this aspect of the built environment hasn’t been widely considered. 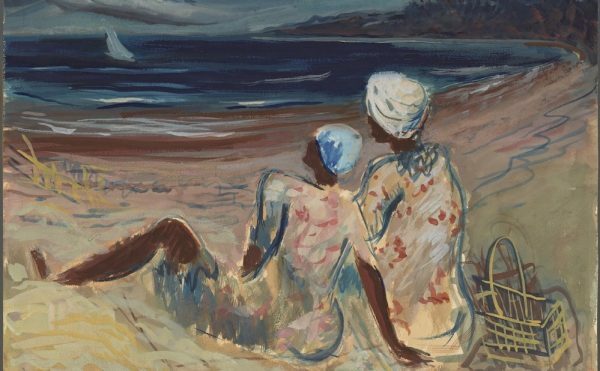 “So many Americans grew up playing on this stuff, and it’s a part of Americana, but nobody was documenting it, nobody was collecting it,” she told Hyperallergic. So why should we care about the playground? 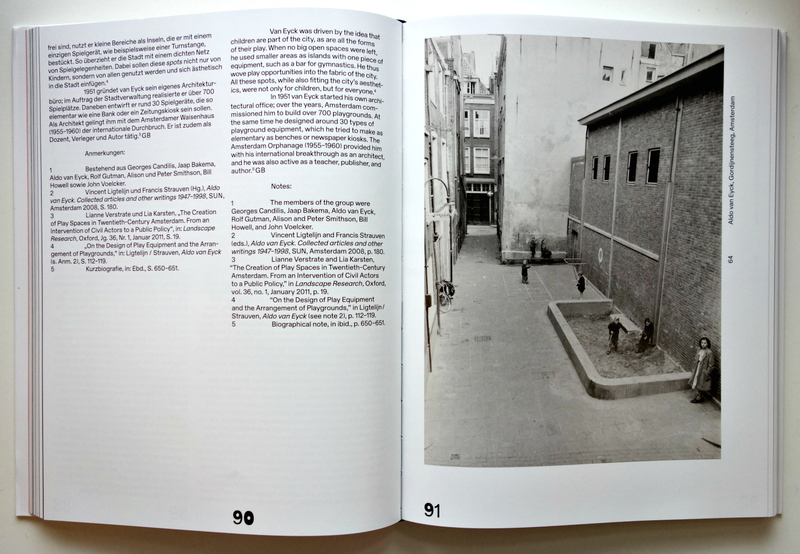 As Burkhalter argues in The Playground Project, playgrounds are a meeting point of both modernism and a distinctly 20th-century perspective on childhood. 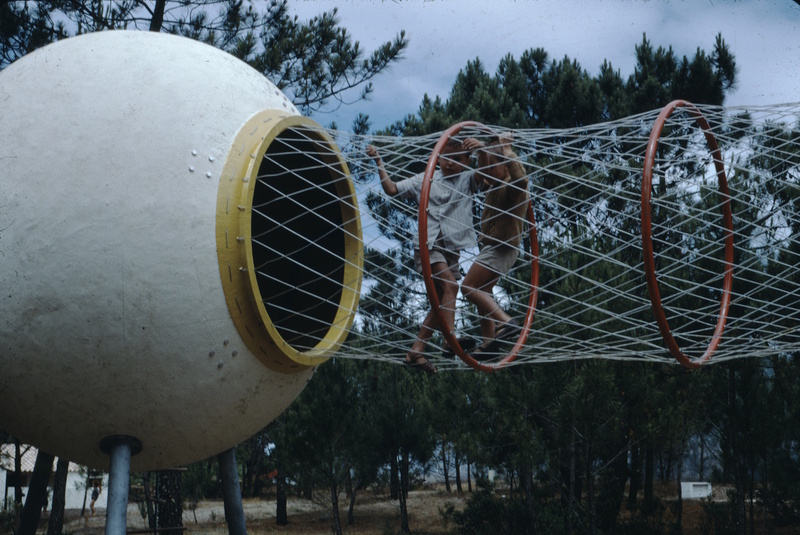 From boxer, sculptor, and Princeton University professor Joseph Brown’s spiderweb structures of ropes and springs that encouraged collaborative play, to the interconnected orbs made from recycled materials by Group Ludic in France, playgrounds were also a global movement in radically rethinking public space. 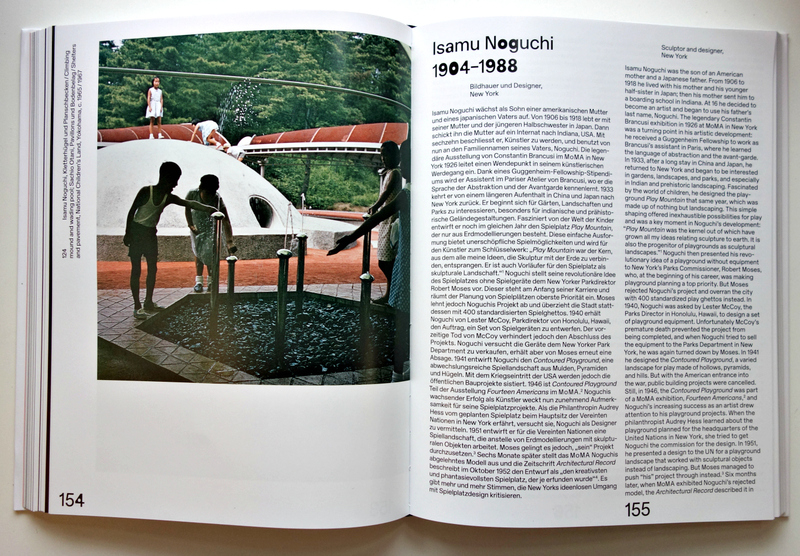 Many playground designers were inspired by sculptor Isamu Noguchi. 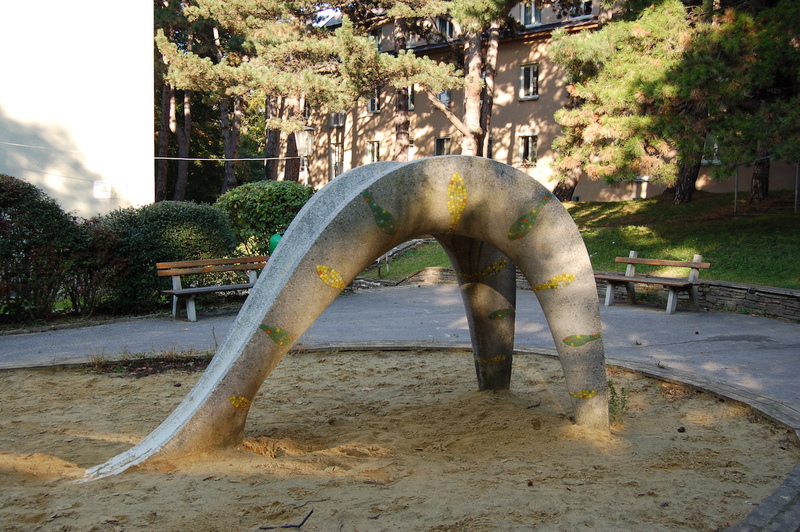 Although none of the New York City playgrounds he started designing in the 1930s were realized — due in large part to Parks Commissioner Robert Moses who preferred his own repeating metal bar-based playgrounds — Noguchi’s concepts of sculptural environments influenced later figures like Richard Dattner. 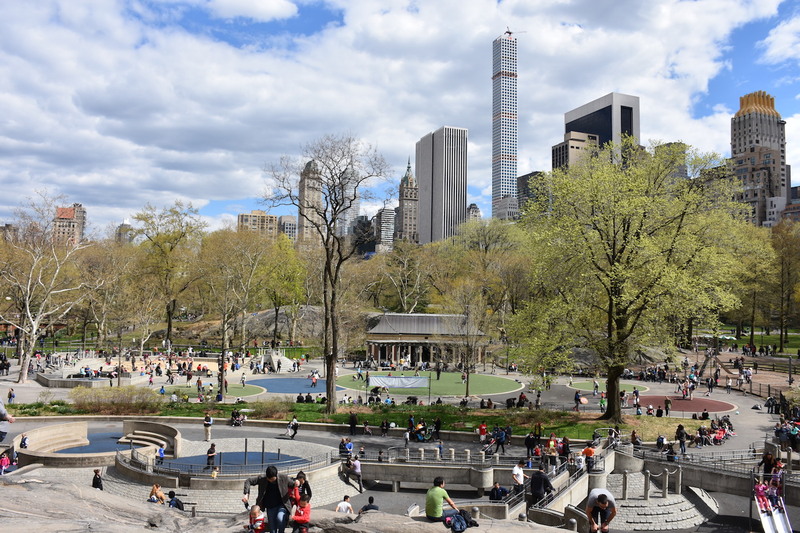 Dattner’s five 1960s to ’70s playgrounds, built in a post-Moses New York, endure with their interactive landscapes in Central Park, albeit renovated for a newly litigious age. 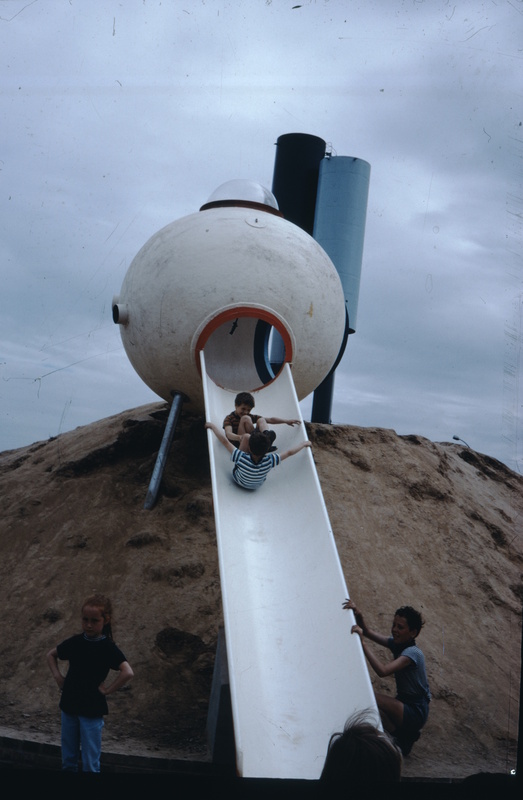 Burkhalter notes that they’ve “lost much of their original idiosyncrasy when they were adapted to meet contemporary security standards; for example, tactile sand was replaced by a soft plastic surface.” Landscape architect M. Paul Friedberg was likewise inspired by Noguchi in erecting playgrounds with the New York Housing Authority, such as the rambling hills of stone and concrete at the Jacob Riis Houses and a climbable sculpture at the Carver Houses in Spanish Harlem, rather than the originally planned untouchable piece of art. 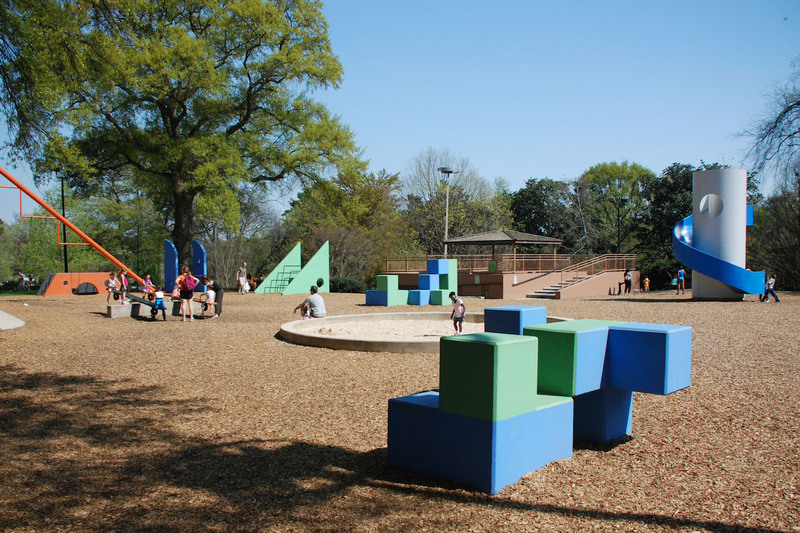 Noguchi finally had his first American playground completed in 1976 with “Playscapes” in Atlanta, commissioned by the High Museum of Art. 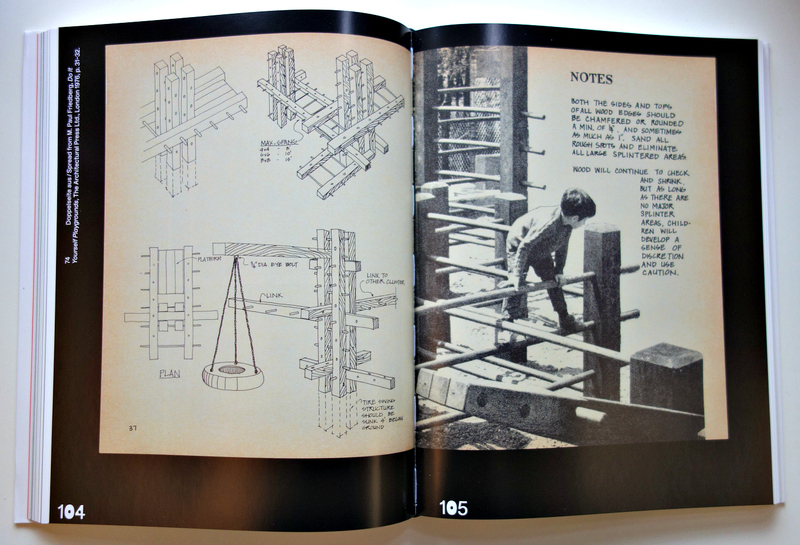 This collaboration between institutions and artists was essential for making art playgrounds a reality, with groups such as Creative Playthings involving artists like Danish sculptor Egon Möller-Nielsen in the 1950s to produce playground sculptures available to order from catalogues, even coordinating a play sculpture competition with the Museum of Modern Art (MoMA) in 1954. Richard W. Crawford, Philadelphia’s Commissioner of Recreation, led the installation of several play sculptures by Möller-Nielsen and others in his city. Even the much smaller municipality of my hometown, Bartlesville, Oklahoma, commissioned architect Bruce Goff to build the recently restored 1963 “Play Tower,” based on the idea of a Möbius strip, with an accompanying climbable sculpture alongside. 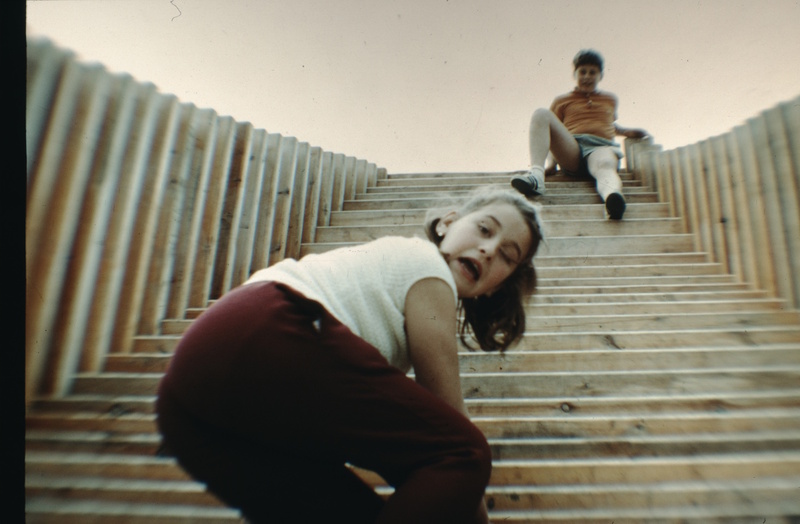 Children were encouraged to run up and down the stairs of the Space Age-styled tower, making as much noise as possible to rattle its steel cage. Playgrounds today don’t have that same freedom of experimentation, especially since the 1981 publication of the US Consumer Safety Commission’s Guidelines for Playground Safety. 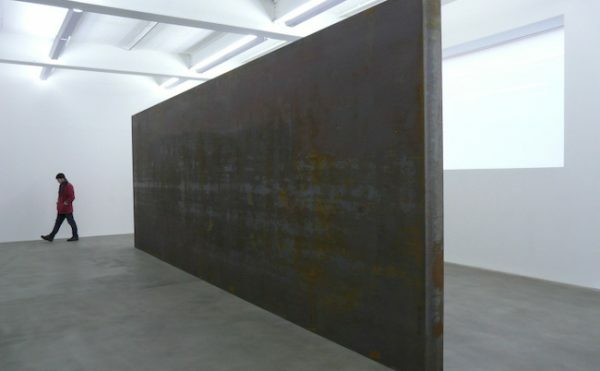 Yet there is a recent revival of interest in art playgrounds. 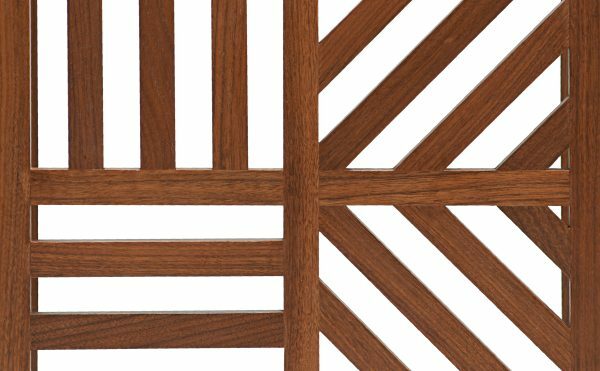 Last year’s The Brutalist Playground at the Royal Institute of British Architects involved a playscape designed by Assemble and artist Simon Terrill that celebrated the postwar playground landscape. 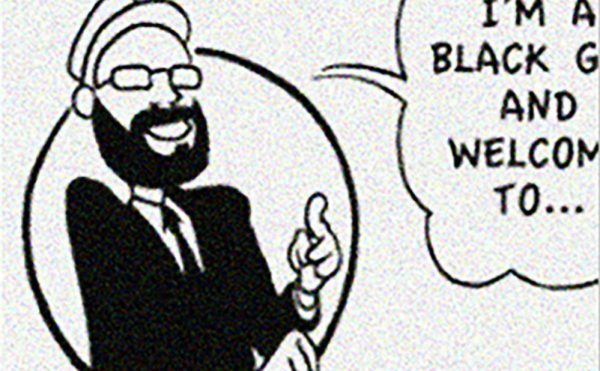 And an adventure playground recently had a successful Kickstarter campaign to be constructed in New York. 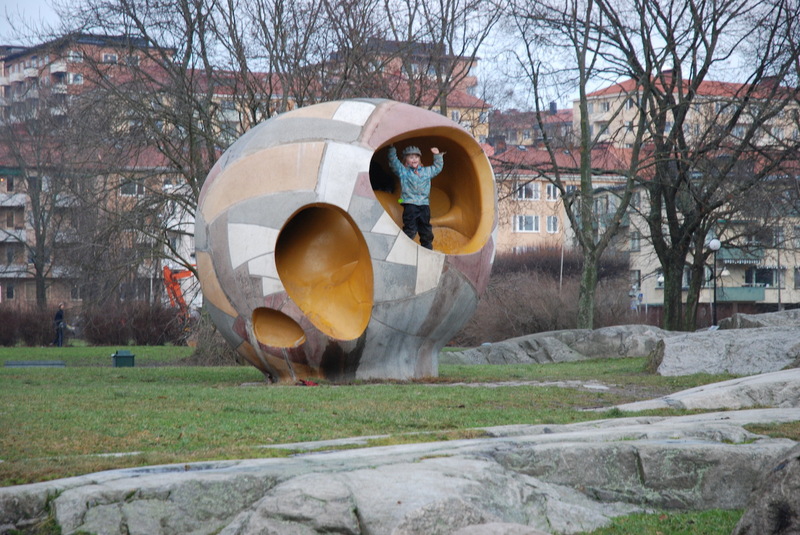 None of these individual projects is quite like what happened in the mid-20th century, when the playground, from Japan to Stockholm, was reborn as a place of artistic experimentation. Children in some ways have different lives today, often much more structured after-school activities, with free time frequently filled with passive activities on digital devices. Still, the innovative ideas presented in The Playground Project respond to the universal enthusiasm in children for play, and show that even just a well-placed corner filled with sand, or a sculpture you can crawl into rather than keep behind barriers can make public space an active part of children’s lives. 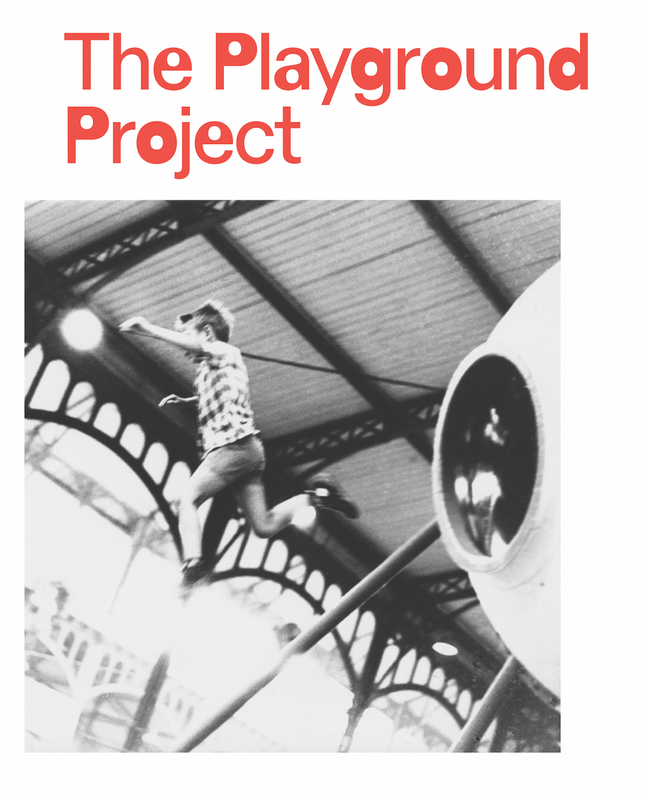 The Playground Project is out now from JRP-Ringier. 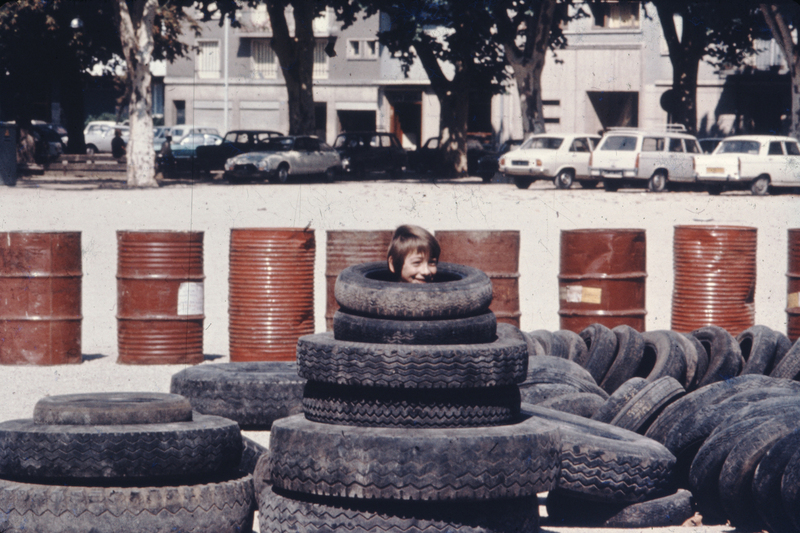 The Playground Project continues at Kunsthalle Zürich (Limmatstrasse 270, Zürich, Switzerland) through May 15.